The Hartje Tube - 20 Inch is a high quality but low cost 20 inch BMX tube with a very durable schrader valve which is made of metal in its entire length. 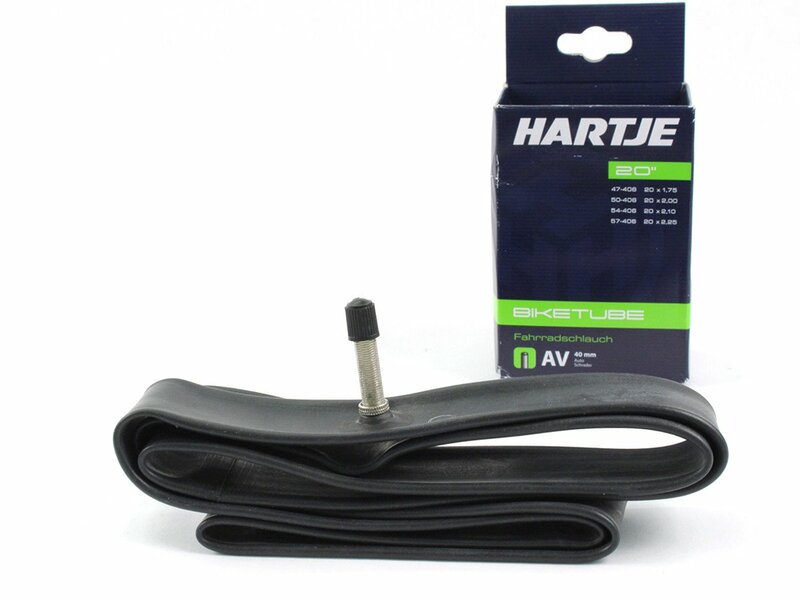 This Hartje Tube - 20 Inch keep holding pressures up to 8 bar which makes it ideal for pumping up high pressure tires with a width of 20" x 1,75" - 20" x 2.4". Size: 20" x 1,75" - 2.4"